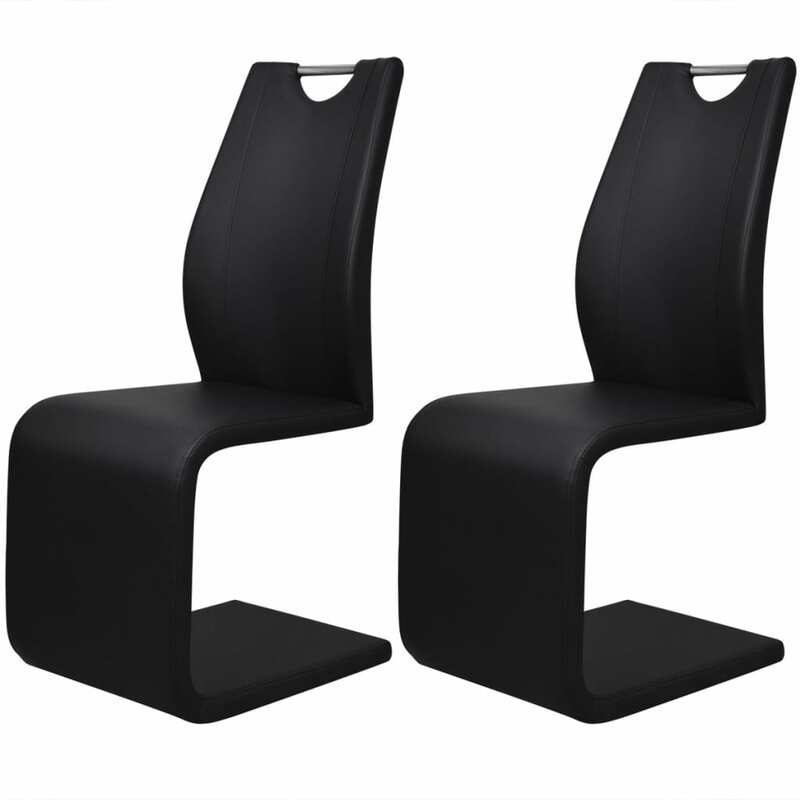 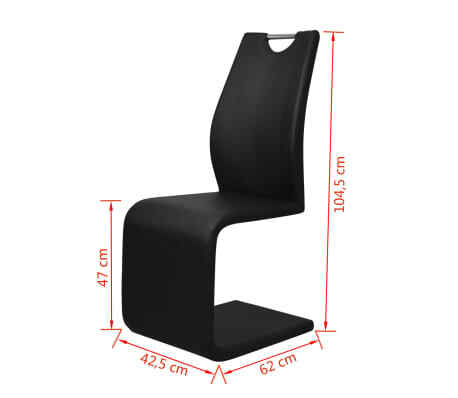 These beautiful, contemporary dining chairs have a very modern look and feel. 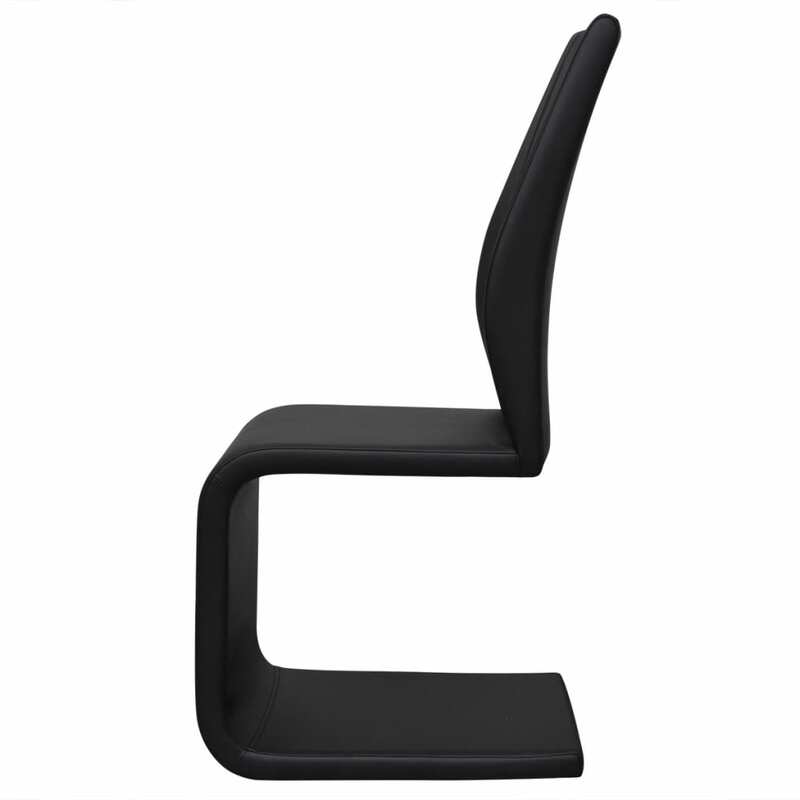 Their stylish appeal is based on the way clever design is combined with aesthetics. 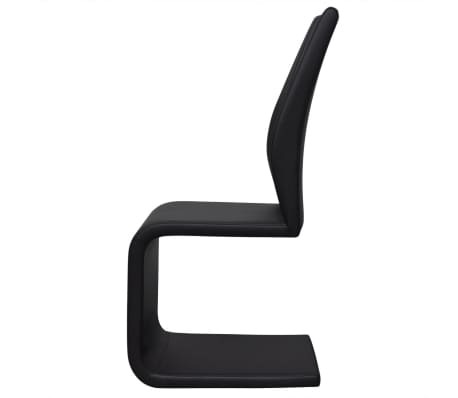 The graceful curves are ergonomically designed to give great support. 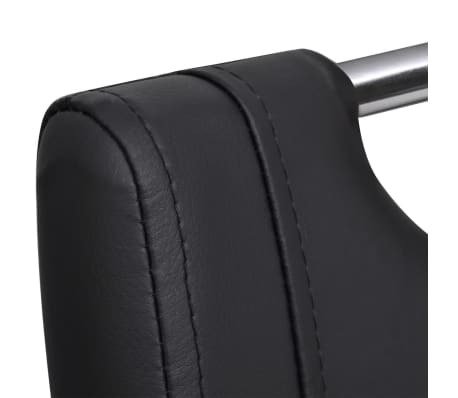 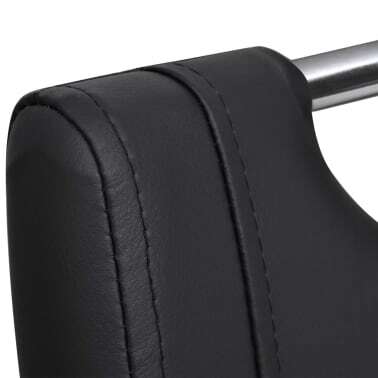 The high-quality artificial leather upholstery is resistant to spills and stains, and requires little maintenance. 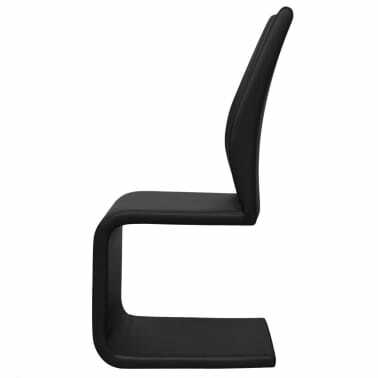 The frame is upholstered in artificial leather, which adds to the sleek look. 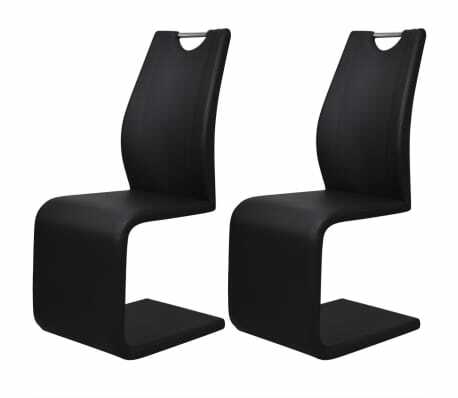 Each dining chair has a handle, which makes it easy to move around. 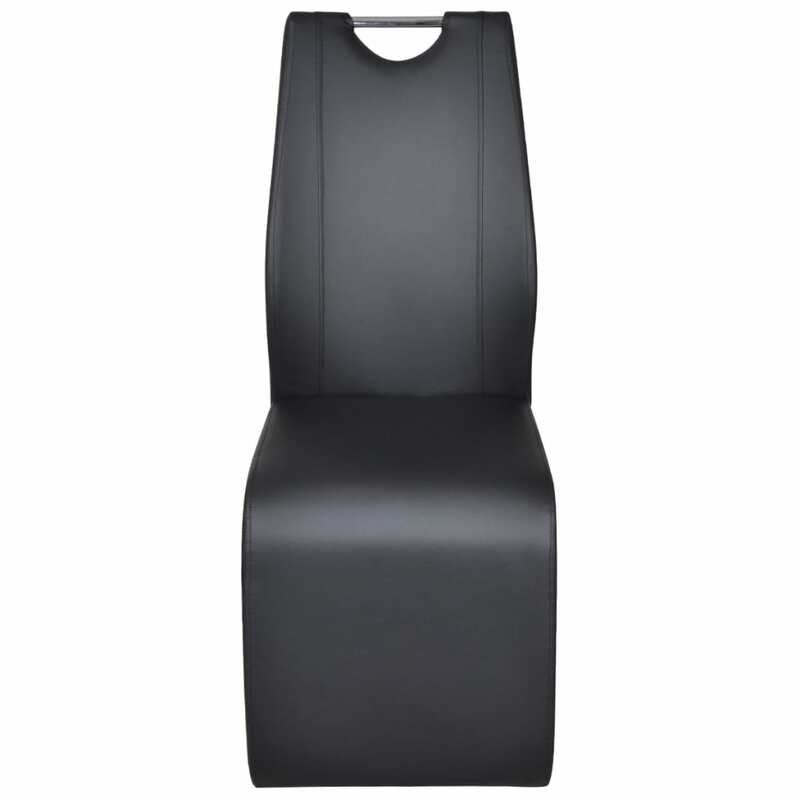 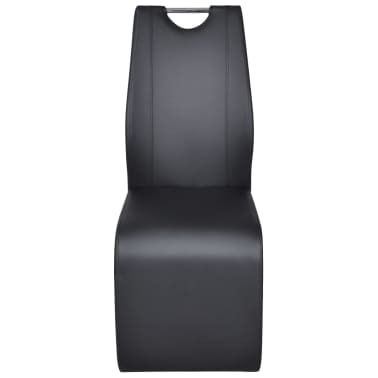 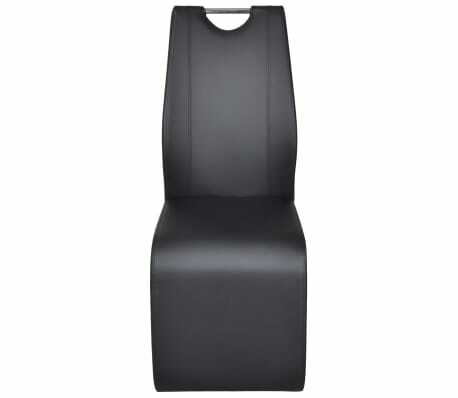 Delivery includes 2 high-quality dining chairs.